The Hornet is not, per se, a new helmet, although it is new to us. But we’ve become so impressed by the sheer quality of Shoei’s helmets, and by the ability to custom-fit them, that we’ve decided to add the Hornet ADV to our range. It is, in effect, an adventure helmet and, as such, it does what you might expect it to, and looks like you might expect it to. But the Shoei just does it better than the rest. There’s a feeling of solidity you get with a Shoei that you don’t get with other brands. Everything works. The visor is of Grade 1 optical quality, the Pinlock is a 120, and the peak is stronger than any we have come across on other helmets. As ever, with a range of cheek pads and head liners in stock, we can make this helmet fit perfectly. If you want a demonstration, come in and see us. Now, when there are discussions about the best gloves money can buy, the Richa name is not always the first that comes to mind. But actually, the Belgian company started out making gloves. They have a Gore-Tex licence. They make gloves for many other people. And even they think that gloves are what they do best. Now, in a recent meeting, they showed us a glove called the Hurricane. It’s almost identical to the Eska Integral glove that is no longer available, but which we rated highly. So close as it is in design that we suspect it’s made in the same factory. But ours is not to question why. All we can say is that we think it’s a brilliant glove. 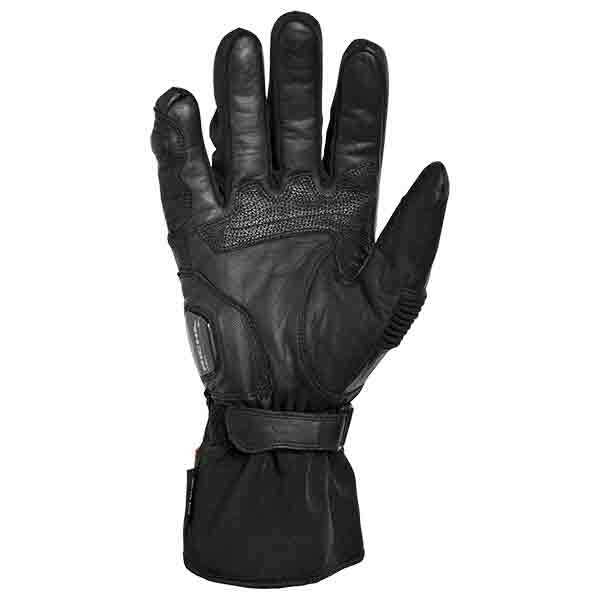 It’s what we’d call a two-season glove but, with heated grips, it would be useable some way into the winter. Its membrane is by Gore-Tex. The chassis is a mix of goat leather and polyamide. There’s a fleecy lining for a degree of warmth. Whilst, for protection, you get a gel impact protector on the wrist, and a hard TPU protector for the knuckles. This is a glove that we feel we already know well, even though we’ve never sold Richa gloves before. The price, at £100, is also right on the button. It’s the end of the summer; a traditional time for retailers to off-load their current stock to make way for winter lines. More importantly, for us, it’s year end at the end of September so our accountant wants us to reduce our stock levels. Well, whatever the reason, whatever the motivation, we’ve currently got heavily reduced prices on a number of lines. 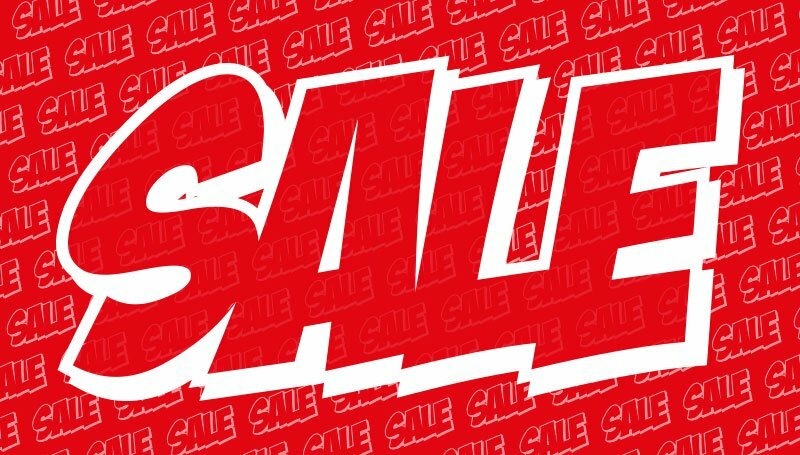 Right now, we’ve got Sales on Ashley Watson, Arai, Helstons, Schuberth, Rukka, Magellan & Mulloy, Belstaff, Stetson, Headwave and Roland Sands. But every day between now and September 30th, we’ll be releasing details on new savings. So keep an eye on the website or, better still, sign up for our email bulletins. Then you’ll never miss out again! 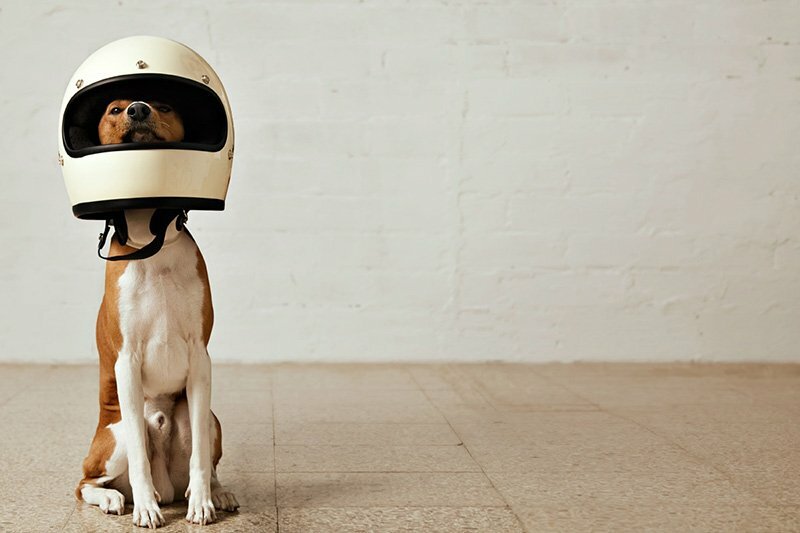 As a motorcyclist, the most important piece of equipment you’ll ever buy is your crash helmet. It’s more important than your jacket, your pants, your boots or your gloves. In fact, in many ways, it’s more important than the bike itself. A bike can be replaced or rebuilt. At present, heads not so much. Here in the shop we meet dozens of people every month with helmets that just aren’t up to the job. Sometimes, they are just beyond their sell-by date. Frankly, a 10 year old helmet will not deliver the impact absorption you may need in an accident. But more often than not, the issue is fit. People get used to their helmets, and simply fail to notice that they could easily slip a cheese sandwich between their cheeks and the helmet shell. Well, on the website, we’ve written a short article all about getting the fit as it should be. And this is important. A helmet that’s too tight is going to give you a monstrous headache. A helmet that is too loose is going to be noisy and distracting. And, of course, if the fit is simply too loose, it can be downright dangerous. Click below to read our piece. Join us for an evening with Elspeth Beard. First night sold out! New date added! Elspeth Beard is a pretty amazing lady. At the age of just 23, she set off on her trusty BMW R60 on an adventure that would see her circumnavigate the globe. It was an epic tale that saw more than its fair share of drama. At the time her return, just over two years later, aroused little comment. And only more recently has the enormity of her achievement become properly celebrated. These days, Elspeth is a renowned architect, although she is still hugely active in motorcycling, with a particular zeal for getting more women involved with two wheels. Her book came out to critical acclaim last year and, right now, Elspeth is in the process of reviewing offers for the film rights. What Elspeth did back in the eighties could not perhaps be emulated today. The world is a different place, but the fact is that women like her are few and far between. Her story is a fascinating one and, if you’d like to hear it from the horse’s mouth, so to speak, Elspeth will be telling it over dinner at the One Forty Café in Cranleigh. Now, the original evening of October 25th, has now sold out. Due to popular demand, there will now be a second evening, which will be held on October 23rd. One Forty is a cracking little café/restaurant. It’s a hidden gem that serves the best breakfast in the county. That night, we’ll be taking over the restaurant. One Forty will be putting on a buffet and, as we munch away, Elspeth will regale us with the presentation that has formed part of her worldwide book tour. 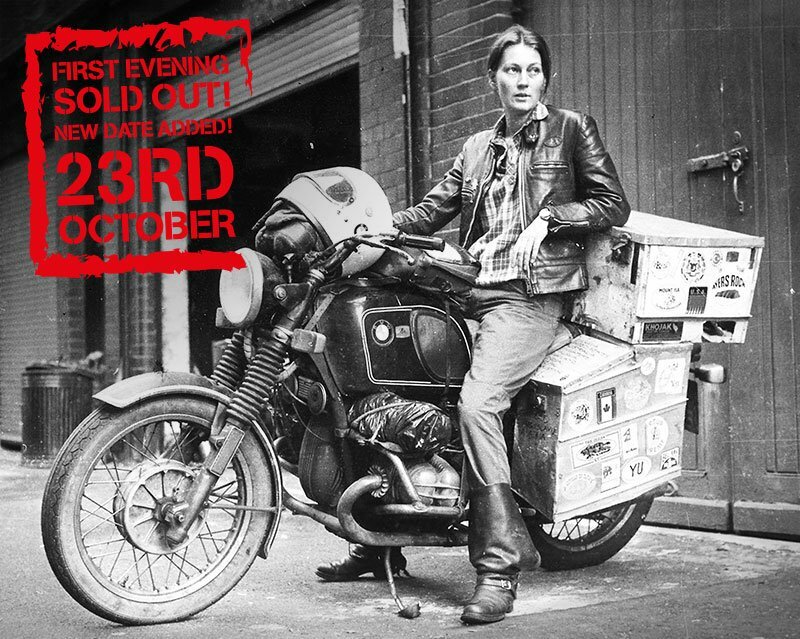 If you’re a motorcyclist, or an intrepid adventurer looking for inspiration, you will want to hear Elspeth speak. The evening will kick off at 7:00pm. Tickets will be £30 a head, plus a booking fee. We’ll be there too, of course. Listening to Elspeth is always uplifting; it makes our concerns about a bit of water coming in at the neck, or a glove that is too long in the index finger, seem a little embarrassing. Ms Beard, after all, undertook the trip before protective wear as we know it even existed. Her bike will be on display at One Forty, and Elspeth will be bringing with her some of the gear she rode in. She’ll also have some books that she will sign if you want to go away with a personal souvenir. Once again, places are limited, and we’re convinced that the second night will also sell out well before the night. If you’d like to get a ticket, click below. See you there. You may have read about Brian’s brilliant Café Racer jacket. If you want a leather jacket made specifically to fit you, and not just the average guy with your chest measurement, a bespoke jacket from Brian may be the way to go. 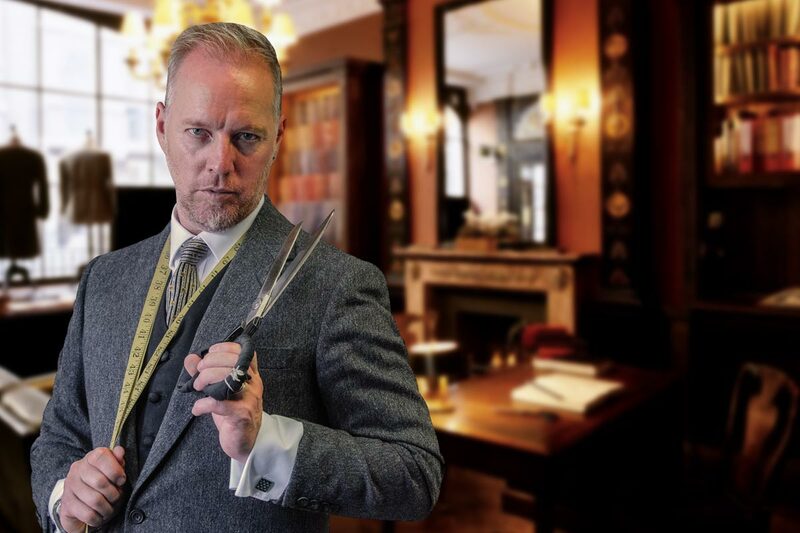 But fit, whilst important, is not the only reason to go bespoke, because Brian offers dozens of options that will make your jacket totally unique to you. We have some off-the-peg BKS jackets here in the shop if you want to come and look at one, but if you want to chat directly with the man, you should know that he’ll be with us on Saturday 29th September. If you’d actually like to be measured up, you should phone and make an appointment. It takes 45 minutes for Brian to take all the measurements, and run through all the options. Prices start at £1250. Like the Shoei Hornet, the J-Cruise is not a new helmet, although it is new to us. Until now, we thought we had this headwear category covered with the Schuberth M1, but the M1 seems to have become the helmet that time forgot. 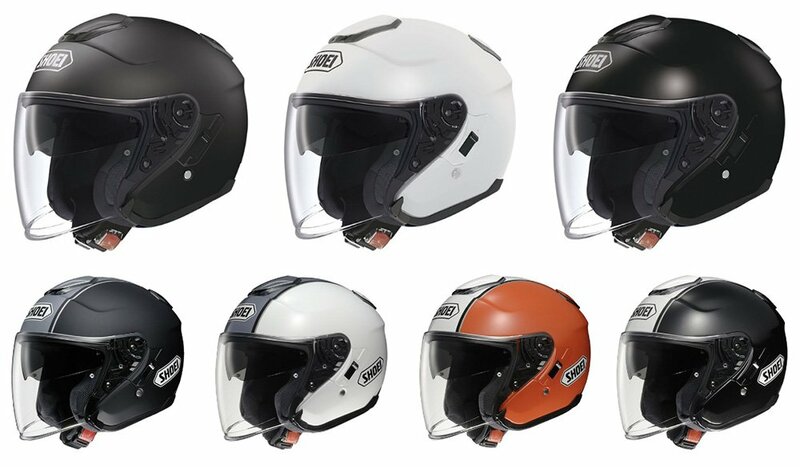 It’s been reduced to just a couple of colourways by Schuberth, and the Cardo comms. unit that works with the M1 is starting to look a bit dated. The J-Cruise is, in concept, almost identical, but it has some advantages. Like all Shoeis, different cheek pads and head linings are available so we can get it to fit right on just about anybody. It also takes a specially developed, state-of-the-art Sena 10U comms. system. This is not a cheap helmet, but then neither is the Schuberth, but it’s a terrific bit of kit. In essence, it’s half the Neotec helmet, but with a full-length visor. It’s now in stock. Come and try one, and see for yourself. Our ladies-only ride to the Loire Valley earlier this year was a great success. A terrific time was had by all; indeed the WhatsApp group is still going strong. And so we’ve decided to have, again only for the ladies, a day out riding down the green lanes in and around Surrey. Now what we have to tell you is that the tracks around here are amazing. This is the most wooded county in the UK, and you could spend years riding through the Surrey Hills and still not discover half of the tracks. The day is being organised by a local company that knows the hills well. In the morning there’ll be some basic off-road skills training on a local farm. In the afternoon, we’ll go get lost. The school runs 250cc Fantics that are lovely to ride, and very light. The guys have done loads of ladies’ days, so nobody need worry about being able to cope. The only requirement, from their side, is a minimum 30” inside leg; necessary so that you can touch the floor. We’ll issue more details nearer the time, but there are just nine places available so, as ever, it’s first-come, first-served. The cost will be £199.99 and, if you want to reserve a place, we’d ask you to phone the Orderline and pay a £50 deposit. Alternatively, tap OFFRDTRIP into the Search box on the website. Of course, the evening of the 25th is when Elspeth is giving a talk at the One Forty Café in Cranleigh. So, don’t worry, if you want to catch up with Elspeth at dinner; there’ll be plenty of time to get all that mud out of your hair. It’s going to be a fun, action-packed day. We really rate the SW Motech Legend luggage system; basically, metal frames that bolt on to the bike that then carry a range of soft panniers. 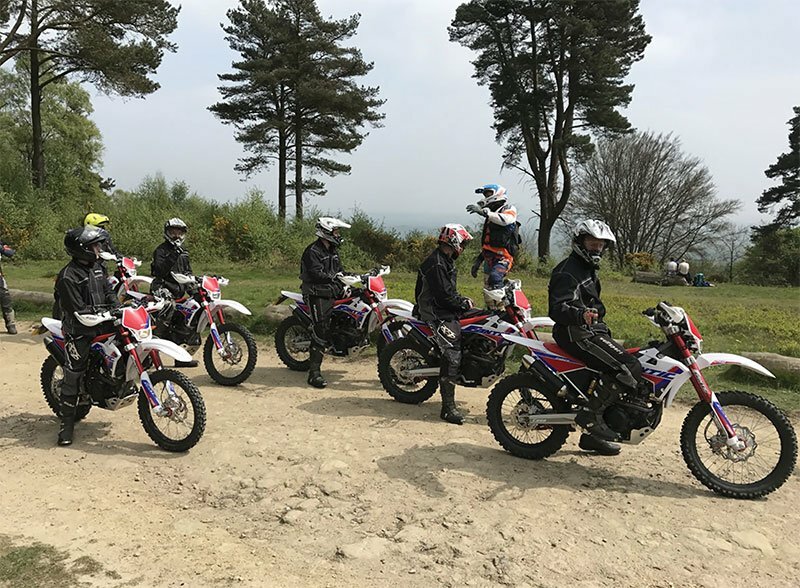 The system is very much aimed at modern, retro-style bikes, although increasingly racks are being released for new off-road, sit-up and adventure bikes. Recently, a whole raft of new bikes was added to the list. There are now brackets for BMW’s 310GS, but also for the R nineT Racer, Pure and Urban models. You can now get brackets for the Ducati 821, the Monster SuperSport and the new 1100cc version of the Scrambler. Pleased to see that you can already get brackets for the fabulous, new Kawasaki Z900RS. Whilst the new KTM 690, 790 and 125 bikes are also now compatible with the system. Newly added to the list of Yamahas that the system works for are the XSR900 Abarth, and the new 2018 MT07. 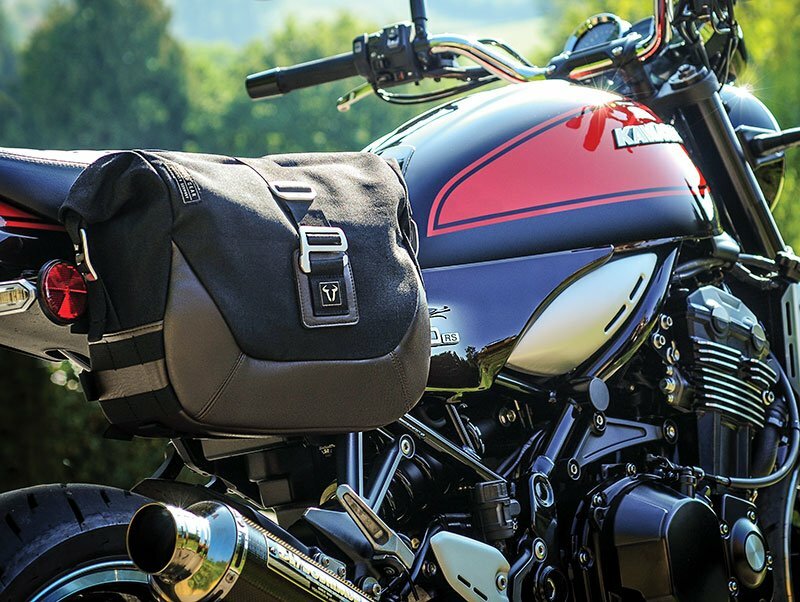 To see the full range of bikes that are compatible with the luggage, however, click below. 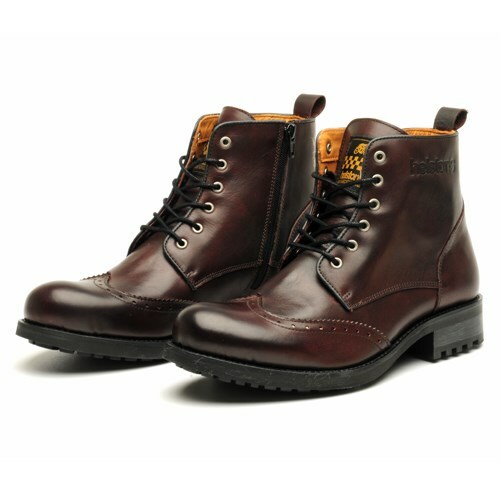 Due with us by the end of the month are two new boots from our stylish Parisian friends at Helstons. The shorter, sneaker-style boot is called the Glen. It reminds us a little of Rokker’s new City Sneaker, but it is fully CE approved, has protectors in the ankles, a hardened toe puff and a shank in the sole to stop the boot from twisting. The boot is waterproof treated, but has no membrane. We think it looks great. It’s a bit shorter than the Rokker, so it’s going to be a lot easier to get in and out of. And at £159.99, we think it’s well priced, given the quality of the leather and the extent of the protection. Helstons sort of invented the formal leather biking boot; the kind of boot you can wear on the bike when you commute to work, but which you can then wear all day in the office with a suit. 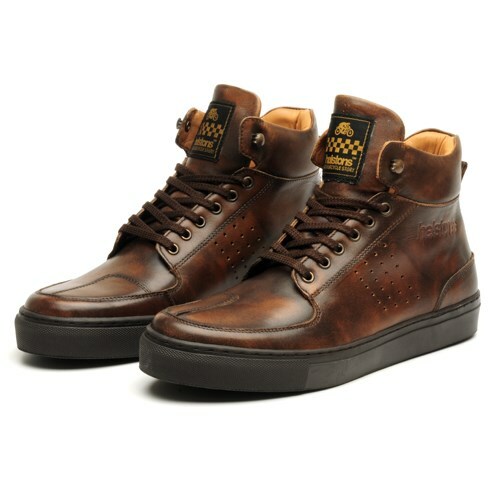 Their Travel boot was the very first brogue’d biker boot and, despite the fact that it has been much copied, it’s still the go-to boot for city bikers. Their new Cardinal is the same concept, but it brings even more of a classic look. It comes with brogueing on the wingtip. It is the wingtip that gives the toes an extra layer of leather for the gear change. Unlike most of the boots of this style, the Cardinal has a full-length zip and a waterproof membrane. This really is a smart looking boot that brooks no compromise when it comes to wearability and safety on the bike. It costs £219.99. 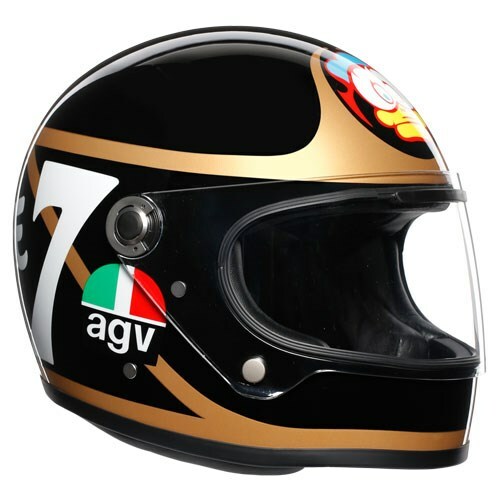 AGV’s take on a retro-styled, full-face helmet came out earlier this year. It’s really nicely designed and well made, with a truly authentic period look. It’s still more of an exercise in form over function, but it’s one of the best classic helmets on the market. 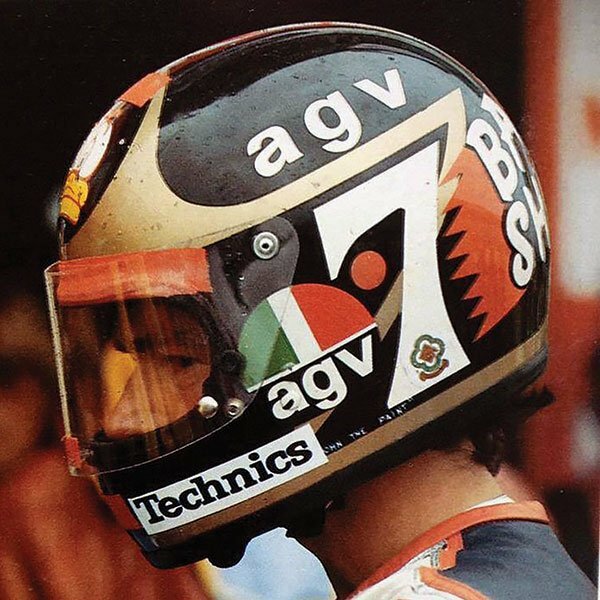 AGV has already produced a special Agostini edition, but due with us in December will be a terrific looking Barry Sheene replica. It really is very similar to the helmet he wore in the eighties. 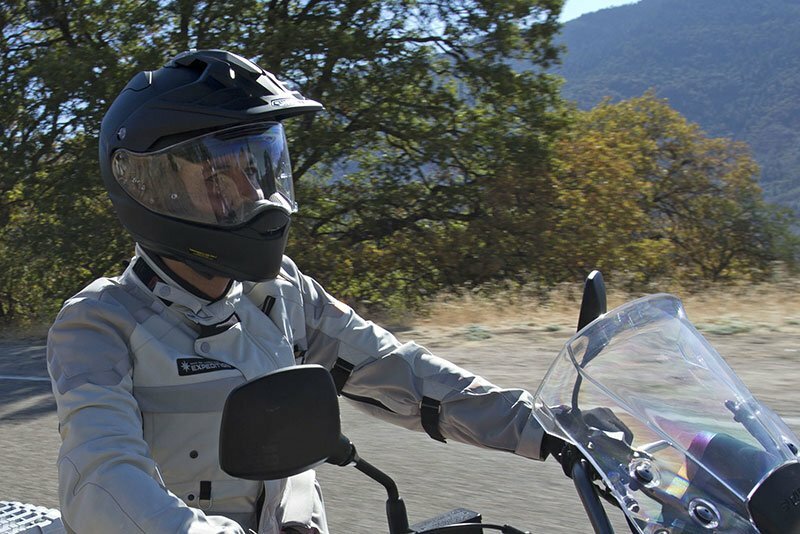 The X3000 doesn’t fit everybody, so we reckon you might need to try on an X3000 before you buy but, if it works for you, then you’ll have one of the coolest, full-face helmets on the market. Not many Sheene replicas are being produced, but if you don’t want to miss out, you should reserve one now. The price will be £499.99. 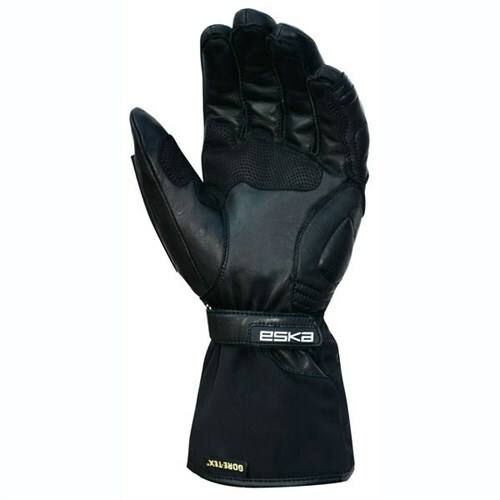 Eska is one of the largest, and longest established, makers of professional gloves in Europe; if not the world. They have, historically, made gloves for all kinds of other manufacturers and, indeed, still do. A couple of years ago, however, they decided to launch their own range of motorcycle gloves. All the gloves are well made and do their job, but the Eska glove we like the most is called the Pilot GTX. 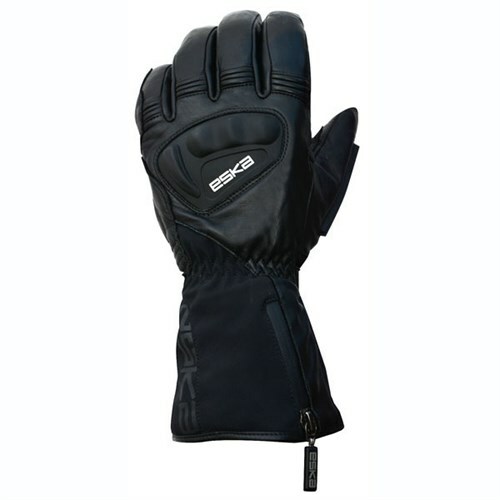 It’s a three to four season glove, but is lighter and nicer to wear than most winter gloves. The waterproof membrane is courtesy of Gore-Tex, of course. The thermal lining is by Primaloft. The chassis of the glove is made from goat leather, but there is digital leather on the palm for extra grip. On the knuckles, you get a hard TPU protector. The cuff has stretch in it for a better fit, but you also get a waterproof zip. This really is one of the nicest winter gloves money can buy. 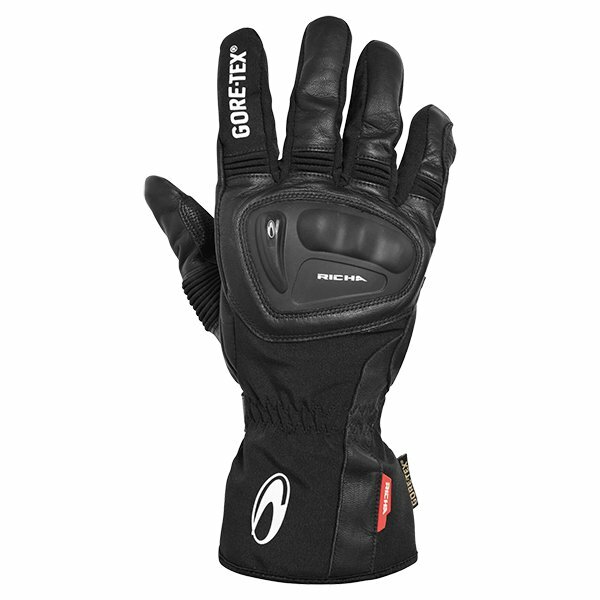 In the margin, you might find a slightly warmer glove, but if comfort and feel are important, then the Pilot GTX gets our vote. It’s priced at £134.99. Resurgence launched its amazing New Wave single-layer jean a couple of months ago. And it was, and is, an amazing jean. 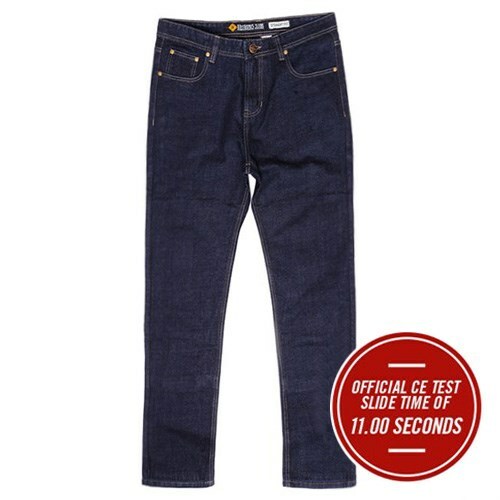 With no Kevlar-style lining, it wears like a shop jean, but it has a 'slide-time' of eleven seconds, making it the most abrasion-resistant, motorcycle jean ever made. 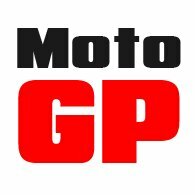 That first shipment was exclusive to Motolegends, and has now pretty much sold out, but recently a new delivery arrived with us. 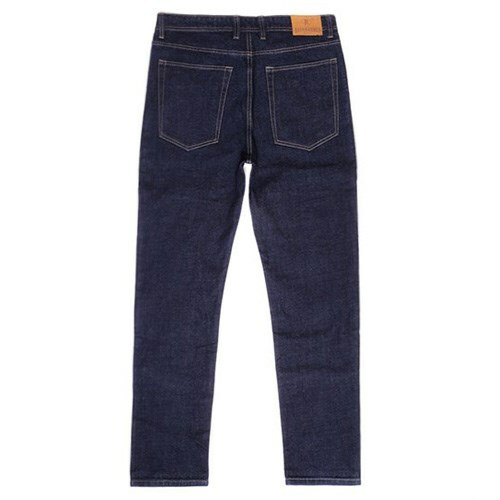 The jeans in this second batch are technically identical to the ones we had in the first delivery. They're a little lighter in colour, but now we have just about every waist size from 30" to 42". And importantly in both 32" and 34" leg lengths. The jeans come with D3O armour in the knees and hips. Remember; these jeans are nearly three times more abrasion resistant than a pair of leather pants. To see just how far jeans have come in recent years, you really do need to try a pair on. The price for the New Waves is £295. Come and see us soon.